When visiting Lake Tahoe you will likely hear locals speaking about the Tahoe Rim Trail but you might be asking what is it? where is it? and what can I do on it? The Tahoe Rim Trail Association describes it as a “Trail like No Other” which we are so lucky to have in our backyard at Lake Tahoe. A few cool facts about The Tahoe Rim Trail: 165 miles of single-track multiuser trail, circumvents Lake Tahoe peak by peak, passes through both California and Nevada, six counties, one state park, three National Forests and three Wilderness areas. If you have ever hiked in Lake Tahoe, you likely set foot on the Tahoe Rim Trail whether you knew it or not. Even better, the Tahoe Rim Trail isn’t limited to hiking, it offers something for all outdoor enthusiasts including horseback riding on all portions of the trail, backpacking for overnight adventurers as well as mountain biking access on more than 50% of the trail. One of the best features of the Tahoe Rim Trail is that it connects to so many other trails in Lake Tahoe including the famous Flume Trail on the East Shore and Pacific Crest National Scenic Trails along the West Shore just to name a few. I love hiking and it’s so hard to pick my favorite portions of the Tahoe Rim trail! For shorter, 1/2 day hikes that are closeby, I enjoy hiking along the portions that loop Mt. Rose and the nearby Tahoe Meadows which can also be great snowshoeing trails in the wintertime. For longer day trips and overnight backpacking, I head towards Echo Lake in South Lake Tahoe to explore the trails that leads deep into Desolation Wilderness. I enjoy the trails that traverse though granite meadows and High Sierra alpine lakes that I visited as a child with my family during backpacking trips. 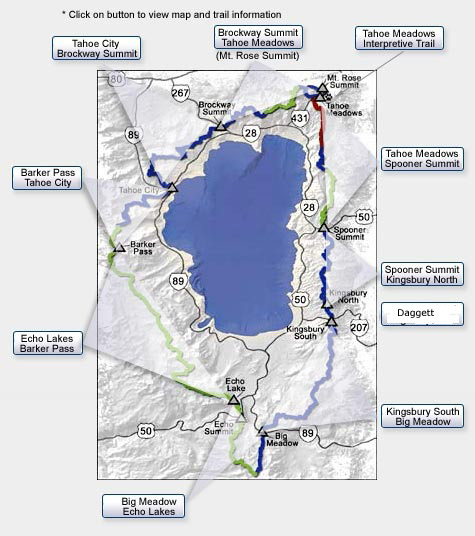 Here is a map of the complete Tahoe Rim Trail. Can’t choose? Wanna do it all? Join the 165 mile club and become the 1423rd member! 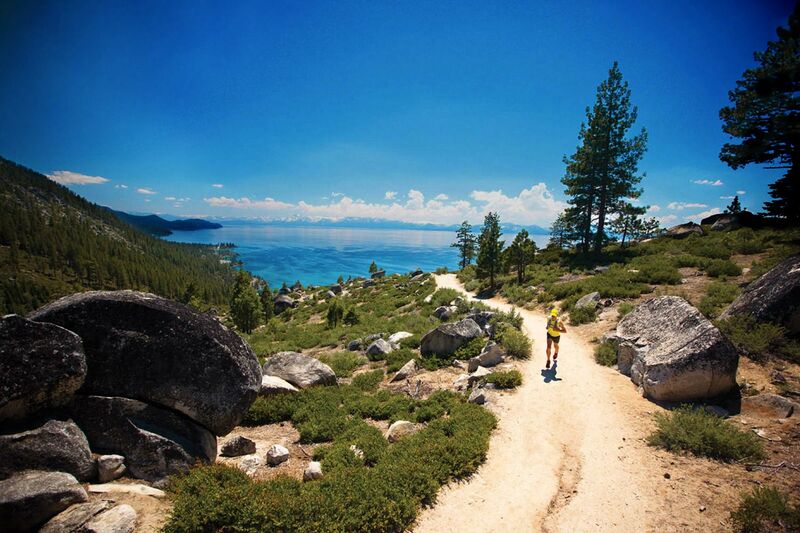 That’s right, do as the locals do and set the goal to complete the entire Tahoe Rim Trail. I am proud to say that I have two local friends who accomplished this amazing feat a few summers ago. You can tackle this challenge in different ways and strategies. My friends completed it in one summer by dividing up sections of the trail, conquerining it one weekend at a time and enjoyed seeing so much of Lake Tahoe’s backcountry while doing it. If you are interested in joining the 165 mile club check out more details and a list of current members on their website. 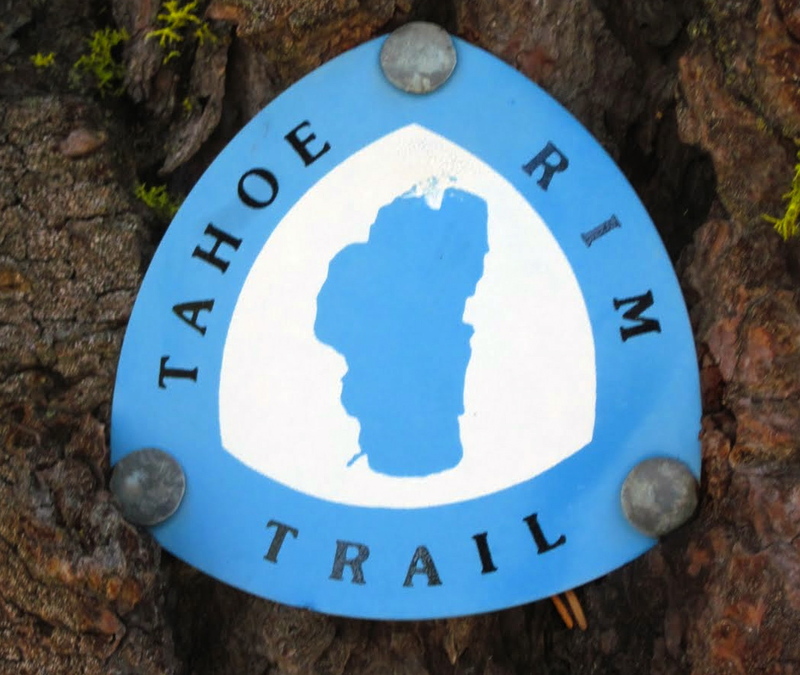 The Trail Rim Trail is managed by the Tahoe Rim Trail Association, a nonprofit organization formed in 1981. They began constructing the trail in 1984, later completed in September of 2001. The Tahoe Rim Trail Association is continuously maintaining, restoring and reconstructing sections of the trail. Each season they offer volunteer programs to locals and visitors to work on repairing a section of the trail. If you love Lake Tahoe, especially hiking and biking, volunteering on the Tahoe Rim Trail is a great way to support Lake Tahoe and meet some of the locals who are dedicated to keeping Lake Tahoe the best lake! The Tahoe Rim Trail Association also offers educational seminars and special events for members, groups and visitors. To learn more about the Tahoe Rim Trail’s volunteering programs and schedule of events visit their website. 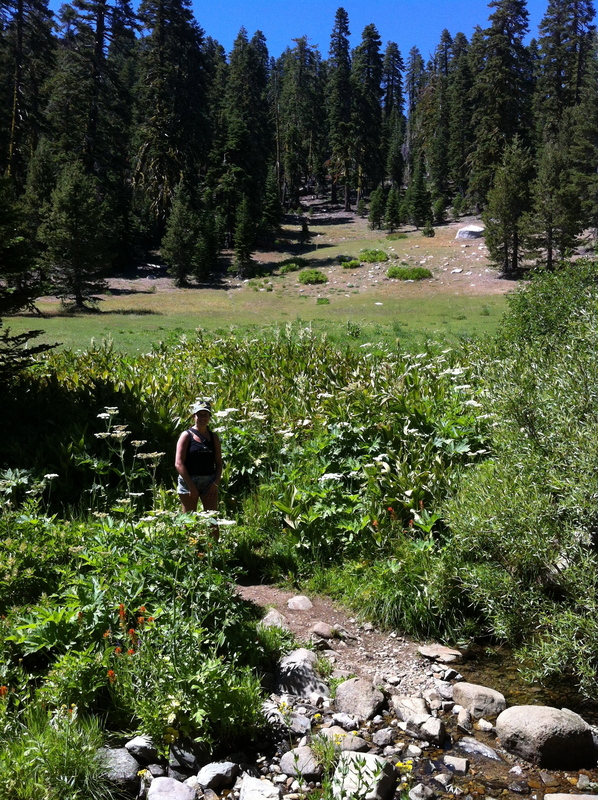 Have you hiked the Tahoe Rim Trail and if so do you have a favorite section? Share it in the comments below! Spring has sprung, ski resorts are closing and to Lake Tahoe residents and visitors that means it’s time to take a hike! I am thrilled for this time of year when the snow melts from the high Sierra’s granting more and more access to backcountry terrain for summer exploring on foot to begin. As a resident of North Lake Tahoe one of my favorite hikes nearby is Tunnel Creek, a favorite amongst locals for its convenient access, great work out and of course, the unparalleled views! Tunnel Creek offers unbelievable views as you ascend trails hovering above some of the most spectacular and scenic shores of Lake Tahoe above Highway 28, Hidden Beach and Sand Harbor State Park off in the distance. Not only does the trail offer spectacular views, but it’s also a fantastic workout! To access the trailhead simply park across the street from the old Bonanza parking lot on Highway 28 just as you leave Incline Village traveling towards South Lake Tahoe (if you reach Hidden Beach trail head on Highway 28 you have gone too far). Today there is the new Tunnel Creek Station which includes Flume Trail Bikes and the Tunnel Creek Cafe making the entrance to the hike easier to spot. Park along the shoulder of the highway, there is no public parking allowed in the lot nor along Tunnel Creek Road itself for hikers. 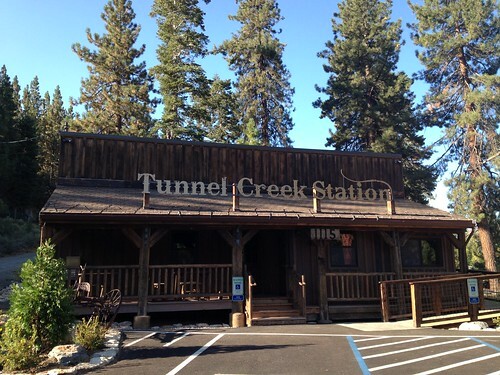 The Tunnel Creek Trail also connects with the world famous Flume Trail, which eventually connects with the Tahoe Rim Trail, making this trail a multipurpose access point to many Lake Tahoe adventures! To begin the hike, cross Highway 28, walk towards the Tunnel Creek Station along Tunnel Creek Road and climb the short paved road/driveway. After a few hundred yards you will reach a flat, sandy trail that stretches for about a 1/4 mi above Highway 28 until you reach the official trailhead shown on the right. From here it is a fairly steep uphill climb for about a mile along a dirt path under shaded pine trees. 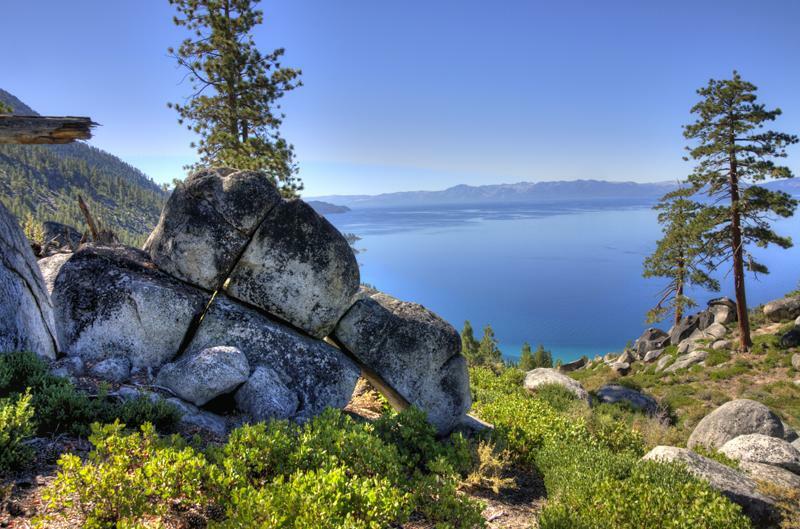 The next mile+ of the trail is the most enjoyable of the hike offering a windy, sandy trail along the East shore with unobstructed views of the Lake Tahoe and the beautiful shores below. The mostly flat and clear trail also make it perfect for trail running if you want an extra workout. Towards the end of this portion of the trail it enters a shaded, wooded area which leads away from the Lake and continues on to the Flume Trail and is where most hikers turn around. I most enjoy hiking the Tunnel Creek Trail early in the morning or later in the afternoon, during spring and fall. During these times the trail is less crowded, especially with mountain bikers. Since this trail is connected to the Flume Trail, it can become heavily congested with mountain bikers racing down the trail so be sure to be on alert. Also, much of the trail is exposed so be sure to wear sunscreen and bring additional coverings to avoid sunburns. The Tunnel Creek Trail is also an excellent location to catch sunset views over the ridges across the Lake during evening hikes. If you enjoy hiking in Lake Tahoe, share your favorite hiking trail in the comments below and whether or not you have hiked the Tunnel Creek trail!